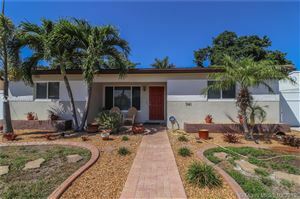 Real Estate For Sale Sunrise, Broward and All of Florida. Finding The Best Real Estate For Sale starts with a Properties Search or by calling (954) 999-5207. Looking to buy or sell a home? Need a location for your next business venture? Ready to sell your house and upgrade? Look no further! 5 County Real Estate never ceases to amaze with beautiful homes and commercial properties for every taste and lifestyle. Looking for that Waterfront Keys Condominium or a lovely family home in Sunrise? We have knowledgeable agents who can find the perfect property not only to meet but exceed your expectations. Whether you’re searching for a luxury piece of heaven, beach side condo, golf property, or lakefront retreat we can turn your dreams into a lifetime of happiness. We are local real estate specialists in SE Florida and we trust you will enjoy browsing through our houses for sale. We are always available to assist you in finding the right home or commercial property for you. If you are interested in listing real estate for sale with us – we are you ‘go to’ team. See something that you love? Contact us at (954) 999-5207 to set up a showing or a free review of your home! Our real estate office is located in Fort Lauderdale and we also have 2 additional offices in Boca Raton and Key Largo. For The Best Real Estate For Sale in all of South Florida call us on (954) 999-5207 today.